The Monster High ghouls know how to embrace their freaky fabulous flaws. And when they have to fight to save the dance, they decide to focus on those flaws as a freaky fabulous theme. The ultimate skel-ebration of monster mania, this season's dance will be the monster bash to end all bashes, and the decorations will be out of this world! 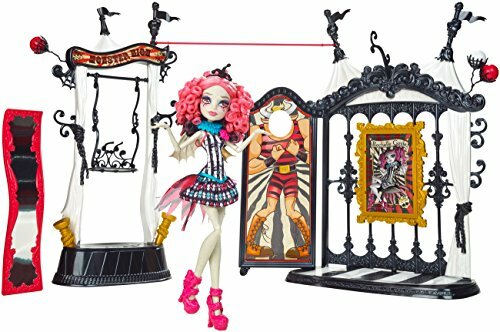 The ghouls, especially Rochelle Goyle (included), will love hanging at the funhouse with its mad, freaky fun! There's a working swing, a funhouse mirror and a Manny Taur photo cutout so all the ghouls can get bullish. A tightrope high above is purr-fact for tightrope walking, while a tall post is just the spot for a marionette to hang. With Monster High icons (spiderwebs and filigree) and classic circus touches (like stripes and pennants), this funhouse looks scary cool. Plus, spots for girls to store their accessories make it fun-ctional too! Molded hanging pieces are perfect for jewelry, and a bowl below Rochelle's swing for keeping smaller treasures. 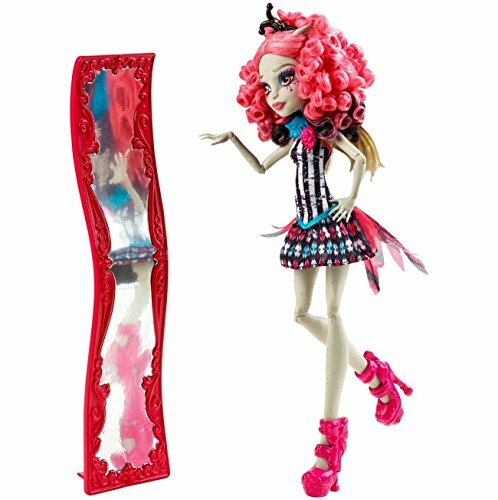 Rochelle Goyle doll looks rock-solid in an over-the-top clown-inspired outfit. Girls can reenact favorite scenes or create a new horror show of their own. 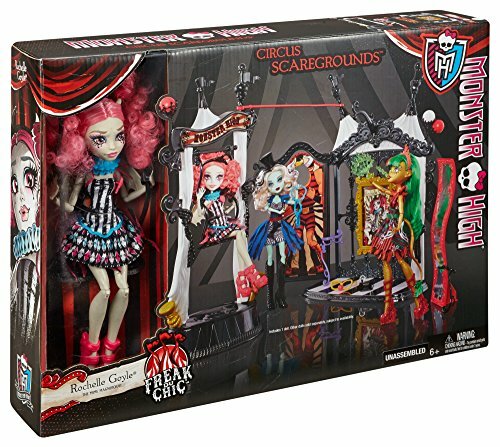 Collect all of the Monster High Freak du Chic dolls and accessories (each sold separately) for a full circus! 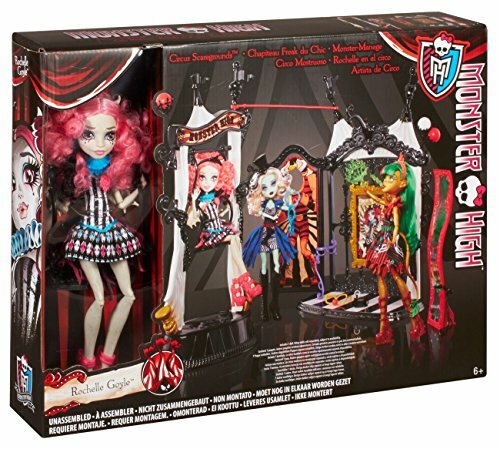 Includes funhouse play set, Rochelle Goyle doll wearing fashion and accessories and three additional mask accessories.